* Black (or white) generic (no graphics) die-cut sleeves. ** Black generic (no graphics) die-cut sleeve. 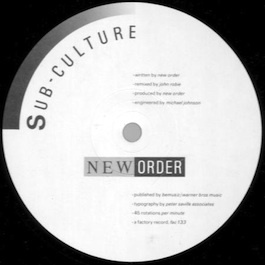 Notes: Saville hated the remix and refused to design a sleeve for this release; thus the generic (but die-cut) black sleeve.